I’m fairly certain that I’m prone to obsessions and phases more than the average human being and this extends to my blogging quite a bit — I’ll be loving doing ‘Daily Face’ posts one month and then can hardly stand to do one the next. Case in point? I hadn’t been loving writing review posts as I hadn’t been inspired to do so but now I find myself in the mood to really do some reviewing action around here and the product in question is the Tarte Amazonian Clay 12 Hour Blush in Natural Beauty. 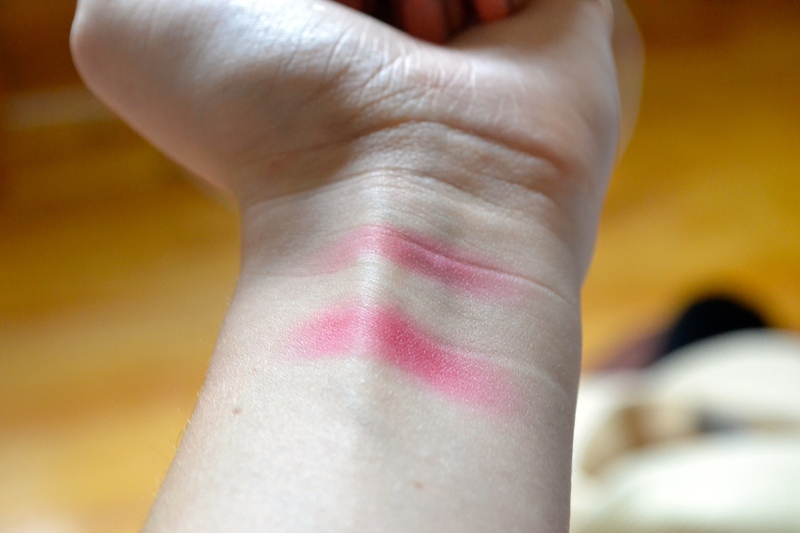 I do really enjoy the matte watermelon-pink shade but in all honesty, I don’t feel or understand the fanaticism that many bloggers exhibit in relation to this product; they last nicely on the skin and have nice pigmentation but I’m not in love with the slightly drier texture of the product. With those thoughts aside, I do actually kind of adore this blush. Why? The formula might not be life-changing but it has good buildable pigmentation (this quality is shown below with comparison swatches of both one and two layers) and lasts for ages but more than this the shade is a gorgeous unique one with a name that makes sense because it replicates the look of a naturally rosy flush on the cheeks despite appearing bright in the pan. 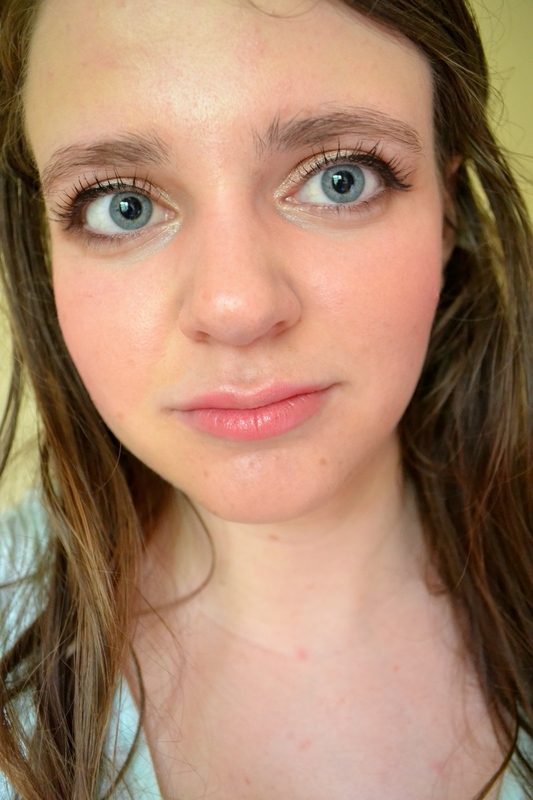 I might be fair and it’s easy to use on me but it also looks great on medium skin tones, believe it or not. And when I say that it creates the look of an authentic flush, it’s infinitely more attractive than my natural flushed-face shade! Although the blush offers solid pigmentation, it’s easier to use because it goes on sheerer initially but can be built up with ease — no patchy clown cheeks here. This means that fairer girls do not need to be afraid of the punch that this rosy shade packs but it also will be a flattering shade on a variety of different skintones; this blush is one of the most universal ones that I own. Believe it or not, the claims as a whole are not outlandish, either. This formula is the longest lasting blush formula that I’ve ever tried, lasting 12 hours on me without fading – but keep in mind I have drier skin and my cheeks are my driest part. However, I think that the claim that the amazonian clay in the formula minimizes “oil in and around pores to balance skin” and also is “hydrating the skin naturally restoring moisture, reducing the appearance of dry, flaky skin” is pure marketing gibberish. I doubt it minimizes the oil in and around pores and it certainly doesn’t hydrate the skin and reduce the appearance of flaky dry patches — when I’m dry and flaky, this formula is not the most flattering on account of its dryness. 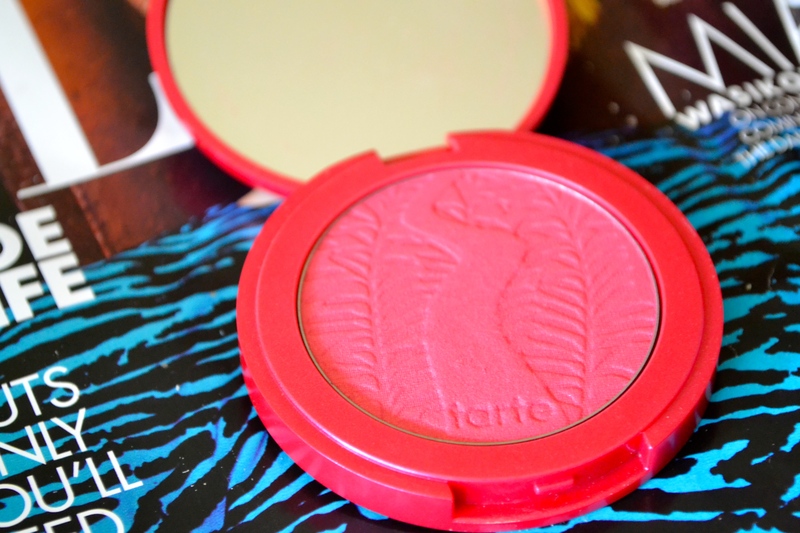 Nevertheless, the Tarte Amazonian Clay 12-Hour Blush in Natural Beauty is a favourite of mine. The blush contains a generous 0.20 oz of product and retails for $26 US or $31 CDN. They are sold at a few different places but I picked mine up last summer at my local Sephora. All in all, I do really enjoy this blush but I won’t be rushing out to try other shades within the formula. I’m compelled to tell you that the foundation matched my skin way better than it appears in the below photo but let’s just pretend it isn’t an issue! Have you tried any of these blushes? If so, I’d be curious to hear your thoughts! That shade suits you so well!